The county clerk is a nonpartisan elected official as provided in the Oregon Constitution and serves a term of four years. Now you can start your Marriage License application from home or on the go. Log onto our new web-based application Online Marriage App. to begin. CLICK HERE to learn more about our Veterans Recognition Program! Our new program recognizes retired veterans in Yamhill County. If you are a Veteran, bring in your original DD-214 and this form to our office. If you own a business, please sign up to become a recognized “Proud Participant” in the program. Complete this Business Application and submit it to our office as soon as you are able. For more information, please call our office. Chief election officer of the county. The county clerk does not provide any court services. 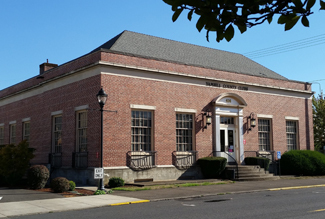 For court-related services contact the Trial Court Clerk (503)434-7530. The staff of the Yamhill County clerk's office is dedicated to providing quality customer service, in a professional and efficient manner.